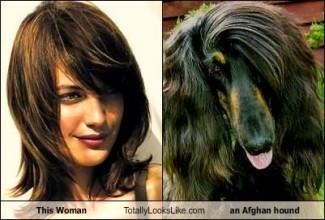 Brunette looks like an Afghan Hound! The Afghan Hound is so beautiful that it mimics the couture of a woman. (Photo courtesy of www.cheezburger.com). If there is anything about the breed that needs to get used to, is its shy personality. 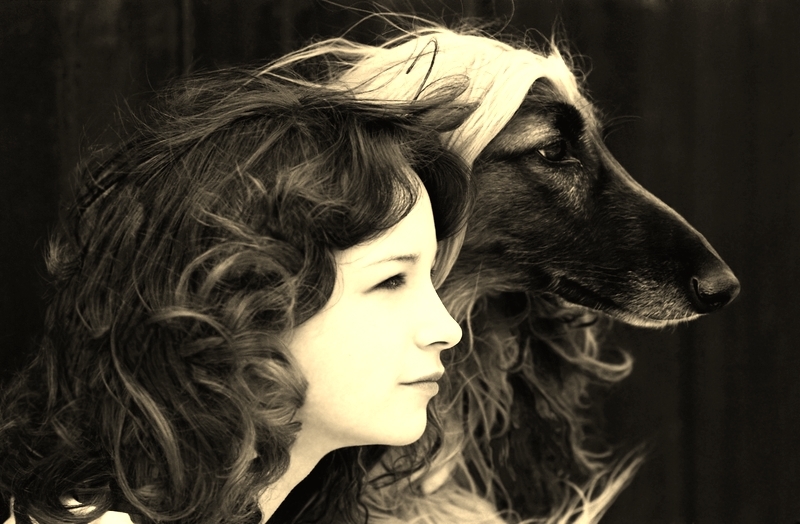 It is aloof and quite unsure of people it does not know or recognize but such a loving dog with family members. All this means is that it takes time to warm up to the individual Afghan Hound dog but once you are accepted, you are a member of the family. The majority of the Afghan Hounds that I have worked on over the years are easy to work on. How simple it is to do a physical exam on. They just stand there wanting to be told how beautiful they are!! For an Afghan Hound, being told how cute it is makes everything right with the world! There are very few medical issues associated with this breed. The hard part of owning an Afghan Hound is the extensive grooming required. All in all, a beautiful dog to behold! 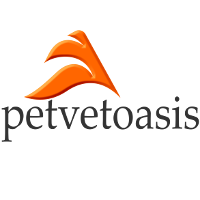 Learn more about the Afghan Hound at Animal Planet’s® Dog Breed Selector.